Add a touch of elegance to your bar with the Nachtmann Sculpture three piece barware set. 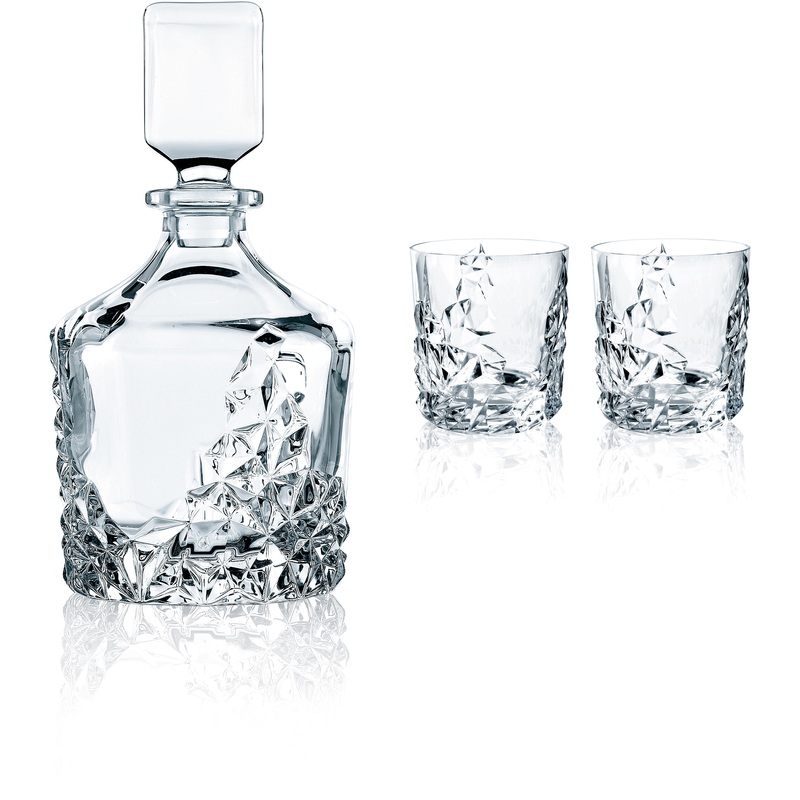 This set includes a beautiful non-leaded crystal decanter with two coordinating leaded crystal tumblers. Created by design student Ahmet Uslu in the Konstfack Competition especially for Nachtmann, this beautiful, sparkling set will impress time and again. Each piece features a three-dimensional geometric crystal design, which will look great in any home.